Hannahs come in varying degrees of substance and reality: some are little more than names on hoodies while others, for example, make food and have sisters. 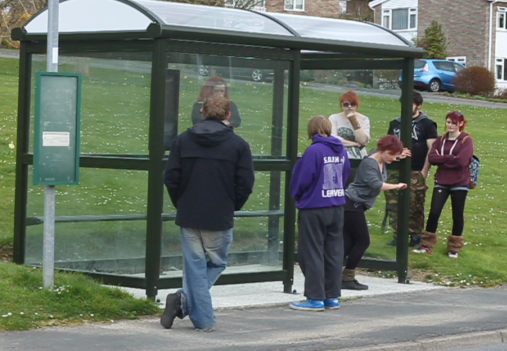 Meanwhile, the bus stops of Ceredigion are a well known source of endless fascination. So it was a very happy day when a thoroughly echt Hannah nominated my personal bus stop as a venue for her performance. There is a video of the full show: 6 minutes. A bus stop data base. Bus stops as a data generator.